That is the question that was addressed at the American Dairy Association & Dairy Council Inc. Dairy Industry Crisis Drill on December 1-2, 2015 in Albany, NY. Members of the dairy industry from throughout the supply chain were present: producers, cooperatives, processors and retailers, to name a few. 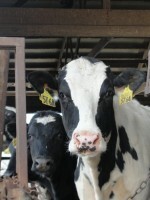 The group met to work through a simulated crisis: the release of a video depicting animal abuse on a dairy farm in New York. The scenario isn't actually new: two videos have been released on New York dairy farms. The first was in 2009 by PETA and the second was in 2012 by Mercy for Animals. This type of undercover video has been prevalent across the U.S. since the first was released in 1999 of a Florida dairy farm. The general consensus was that the question we should be asking ourselves is not if there will be another video released, but rather when another video will be released. While it's not a popular subject in the dairy industry, it's one that must be dealt with. We need to be better prepared the next time around. And in all reality the next video or crisis could focus on a different aspect of agriculture and reach outside of the realm of dairy. To start with, we need to remember that with social media, the news cycle is now seconds, not hours or days. When a story breaks, it takes no time at all for it to reach across the world. A farm's response to a crisis needs to be quick in order to do as much damage control as possible. The New York Dairy Crisis Team was developed in order to discuss and prepare for possible crises. The Crisis Team includes Tonya Van Slyke of North East Dairy Producers Association, Jessica Ziehm of NY Animal Agricultural Council, Steve Ammerman of NY Farm Bureau, and is headed by Beth Meyer at the ADADC. Beth can be reached at 315-472-9143. In a series of upcoming articles over the next few months we will discuss this topic in depth. February's article will feature information on how to protect your business from an undercover video, March's article will teach you how to respond to the media in a crisis, and April's article will help you develop an on-farm crisis preparedness plan for your business. In the meantime, start thinking about how you would respond if it was your farm that came under attack.